These competitive grants are for projects and programs involving animals and the human animal bond. The Lawrence Fund was established by Rev. Priscilla Lawrence and her husband, Patrick Melampy, to honor the legacy of Elizabeth Atwood Lawrence, DVM, PhD, co-founder of the center and originator of the Cummings School’s Human-Animal Relationships course. Ms. Pamela Houde, CVT, Clinic Supervisor, Tufts at Tech Community Veterinary Clinic: $2,500 for “Holiday Kindness” project. The “Holiday Kindness” grant will supplement a food drive for clients and their pets with assistance with transportation vouchers with a local taxi service. This grant will support the human-animal bond by providing assistance and transportation to clients who otherwise would not be able to obtain veterinary care for their pet. Dr. Megan Mueller, Assistant Professor, Dept. of Clinical Sciences and Center for Animals and Public Policy: $1,500 for “Human-Animal Bond Student Scholars Program, Year 5.” This project will fund four to six Tufts student projects at $500 each involving the human-animal bond as well as human-animal interaction and STEM education through Tufts Institute for Human-Animal Interaction (TIHAI). Jonathon Stone, V22 and Dr. Cynthia RL Webster, Professor & Associate Chair of Research: $2,000 for “Deceased Animal Donation: Donor Appreciation.” This project will establish a donor appreciation program with designed appreciation cards to be signed by faculty and students that will be mailed to donor families. Dr. Jennifer Grady, Clinical Instructor and Dr. Greg Wolfus, Clinical Assistant Professor at Tufts at Tech Community Veterinary Clinic: $4,000 for “Tufts at Tech Student-Run ‘Kindness Fund’.” This project will allow each core student on rotation at T@T to have $100 to use to help any case(s) during their three-week rotation that they chose. During orientation they will discuss factors to consider when deciding which cases to fund (e.g. prognosis, chronicity of care needed, owner commitment/ability, learning value for the student, etc. ), but ultimately the students are given full control over how the money is to be used. Dr. Cynthia RL Webster, Professor & Associate Chair of Research with co-Investigators Ms. Erin K. King, Cummings-Tisch Civic Life Coordinator and Dr. Megan Mueller Assistant Professor, Dept. of Clinical Sciences and Center for Animals and Public Policy: $1,500 for “This Is How We Role @ Belmont.” In this after-school program faculty and staff accompany veterinary students from Cummings to the Belmont school to teach the kids about the breadth of careers in the veterinary profession through a variety of fun and interactive workshops developed by education experts at Purdue. Ms. Debra Gibbs, Foster Hospital for Small Animals, Tufts Paws for People Program Coordinator, $2,600 for “Wellness through Animal-Assisted Interventions at Tufts University” project, to provide regular stress relief events on all three Tufts campuses in the next year. Dr. Jennifer Grady, Clinical Instructor, Tufts at Tech Community Veterinary Clinic: $4,000 for “T@T Patient Care Fund” project, to develop a fund that can be used towards medical bills for clients who cannot otherwise afford care, offering assistance to owners who have demonstrated some financial investment in their pet’s condition but are not able to pay the full amount for needed medical care. Ms. Pamela Houde, CVT, Clinic Supervisor, Tufts at Tech Community Veterinary Clinic: $3,500 for “Holiday Kindness” project. The “Holiday Kindness” grant will supplement a food drive for clients and their pets with assistance with transportation vouchers with a local taxi service. This grant will support the human-animal bond by providing assistance and transportation to clients who otherwise would not be able to obtain veterinary care for their pet. Dr. Alicia Karas, Dept. of Clinical Sciences, Dr. Lisa Moses, MSPCA and CAPP Faculty Fellow, and Shayna Sosnowik, V’19, president of Student Association of Veterinary Ethics (SAVE): $1,050 for “Navigating Ethical Conflict in Veterinary Medicine” project, to provide a series of workshops open to all staff, faculty, and students at the Cummings campus, to be conducted during the spring semester of 2018. Dr. Melissa Mazan, Dept. of Clinical Sciences, Dr. David Hernke, Dept. of Environmental and Population Health, and Laura Deschenes, Grafton Middle School Science Teacher: $2,025 for “Understanding the human-animal bond with agricultural production animals”. 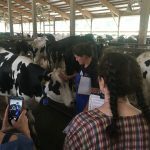 The project will be using Anabel the fistulated cow to teach middle school girls about rumen anatomy, physiology, and microbiology while demonstrating the connection between farm animals and farmers. Dr. Megan Mueller, Assistant Professor, Dept. of Clinical Sciences and Center for Animals and Public Policy: $1,500 for “Human-Animal Bond Student Scholars Program, Year 4.” This project will fund four to six Tufts student projects at $500 each involving the human-animal bond as well as human-animal interaction and STEM education through Tufts Institute for Human-Animal Interaction (TIHAI). Dr. David Schwarz, Adjunct Instructor, Center for Animals and Public Policy: $2,000 for “Course in Disaster Medicine sponsored by Tufts Shelter Medicine and SMART (state of Massachusetts animal response team)”. The week-long course will be offered to late third and fourth year students as well as staff and outside veterinarians in April of 2018. Dr. Cynthia RL Webster, $1,000 for “Animal Based Engineering Challenges: Joints as Simple Levers” project. This will provide an upgrade supplies in the animal based engineering session that’s been running for several years for students including the 7th graders at East Middle School in Worcester MA and the Blackstone Foundation STEM conference. The project will explore the use of animal-based approaches as a tool for use within afterschool as well as in school programs to foster sustained interest in STEM careers. Katherine Wilson, V’20, co-president of the Veterinary Disaster Response Club (VDRC): $1,650 for “Tufts VDRC “Disaster Response Training Day” with CMDART” to host a disaster response training day for students and interested clinicians, residents and interns focused on small animal disaster response. Ms. Pamela Houde, CVT, Clinic Supervisor, Tufts at Tech Community Veterinary Clinic: $2,000 for “Holiday Kindness” project. The “Holiday Kindness” grant will supplement a food drive for clients and their pets with assistance with transportation vouchers with a local taxi service. This grant will support the human-animal bond by providing assistance and transportation to clients who otherwise would not be able to obtain veterinary care for their pet. Dr. Jennifer Jackman (VG’05) Adjunct Faculty, Center for Animals and Public Policy and Dr. Allen Rutberg, Director, Center for Animals and Public Policy: $2,000 for “Stakeholder Views of Seals, Conflicts and Public Policy: A Survey of Attitudes Toward Seals on the Massachusetts Coast”. Mary Koncel (VG’10), Adjunct Instructor, Center for Animals and Public Policy: $1,450 for “2017 Northeast BLM Wild Horse Adoption Conference: Advancing Wild Horse Adoption and Welfare through Research and Education”. Dr. Megan Mueller, Research Assistant Professor, Department of Clinical Sciences and Center for Animals and Public Policy: $1,000 for “Human-Animal Bond Student Scholars Program, Year 3.” The goal of the project is to extend the Human‐Animal Bond Student Scholars program to a third year, as a mechanism to engage students who are interested in the human-animal bond with the Cummings School through the Tufts Institute for Human‐Animal Interaction (TIHAI). Students who wish to complete a semester-long research project, educational initiative, or community service program that is related to the human-animal bond will be awarded project support and will be invited to present the outcomes of their project at a symposium hosted by TIHAI in December. Emma Winstead, V’19: $1,500 for “Tufts AAEP Large Animal Rescue Wet Lab, hosted by the MSPCA at Nevins Farm.” The grant will support Tufts student chapter of the American Association of Equine Practitioners (AAEP) large animal rescue training club event. Ms. Pamela Houde, CVT, Clinic Supervisor, Tufts at Tech Community Veterinary Clinic, received support for the “Holiday Kindness” project. The “Holiday Kindness” grant will supplement a food drive for clients and their pets with assistance with transportation vouchers with a local taxi service. This grant will support the human-animal bond by providing assistance and transportation to clients who otherwise would not be able to obtain veterinary care for their pet. Tufts Paws for People, Lisa Freeman, DVM, PhD, DACVN, Professor, Faculty Advisor, received support for optimizing the human-animal bond through online animal-assisted therapy education. Dr. Megan Mueller, Research Assistant Professor, Center for Animals and Public Policy, received support for the “Human-Animal Bond Student Scholars Program, Year 1”. Dr. Cynthia RL Webster, Professor & Associate Chair of Research, received support for developing curricular materials for education outreach: “Canine Heart Sound Hound Prototype”. Sarina Selleck, V’17, received support for the project “Veterinary Care for the Homeless: An Expansion of the WHA (Worcester Housing Authority) Outreach Visits”. Dr. Cynthia Leveille-Webster, Professor & Associate Chair, Department of Clinical Sciences, received support for “Pet-Partner STEM Initiative” project supplies to increase the curriculum and encourage growth of our K-12 Science Technology Engineering and Math (STEM) community K-12 outreach efforts at Tufts. Mary Koncel VG09, Clinical Instructor, CAPP, received a second year of support for the “The 2014 Northeast Wild Horse Adoption Conference” project, to get members of the equine community together to promote best practices for the successful adoption of Bureau of Land Management wild horses. Danielle Woolf, V’16, Tufts SCAVMA One Health committee received support for “Tufts One Health Day” which aims to improve the health and well-being of both animals and people, by promoting collaboration between veterinary and human medicine. Dr. Elizabeth Byrnes, Department of Biomedical Sciences, received support for “GAP Junction Selective” for transportation costs to bring underserved 7th grade students to the program provided by 1st year veterinary students. Sarah Courchesne, DVM, received support on behalf of the Seabird Ecological Assessment Network (SEANET), Cummings School of Medicine, to conduct three SeaNet volunteer training sessions in Massachusetts. Jennifer Jackman, Ph.D., VG ’05, Department of Political Science, Salem State University, and CAPP faculty fellow received funding to support her qualitative investigation into what she calls “the pet gap,” the observation from her survey data that Cape Cod residents with pets have more positive attitudes towards coyotes (who potentially threaten their pets) than residents without pets. Deborah Linder, DVM, DACVN, Department of Clinical Sciences, TCSVM received support on behalf of Project PAWS: Partnering with Pets to Achieve Wellness, for illustrations, design, layout, and production of a book to educate children about healthy lifestyles, including diet and exercise, through the story of an overweight dog. 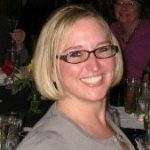 Mary Koncel, VG ’09, Clinical Instructor, CAPP, received funding to organize and begin marketing the Northeast Wild Horse Adoption Conference. Her efforts yielded additional support for the conference from the ASPCA and other organizations. Office of Special Programs, Linette Scibelli, Director: The $836 award was used to create a series of organ and skeletal models which have been incorporated into a teaching kit for use in K-12 educational programs in veterinary science and humane education. Mary Koncel VG’09 , Clinical Instructor, CAPP: $1,000 awarded by the Lawrence Fund, Ms. Koncel recruited and interviewed 20 adopters of gentled or trained wild horses from the Corolla (NC) Wild Horse Fund, and from the Young Horse Teaching and Research Program at Rutgers University, NJ. 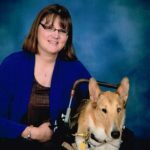 Tufts Paws for People, Lisa Freeman, DVM, PhD, DACVN, Professor, Faculty Advisor: $1,000 award to the Reading Education Assistance Dogs (R.E.A.D.) program funded Delta Pet Partners training and registration of ten dog/handler teams. Massachusetts Equine Welfare Council, Susan Brogan, Director of Continuing Education: The $500 provided to the Continuing Education office funded four meetings with representatives of the Massachusetts Farm Bureau, NE Dressage Association, Mass Department of Agricultural Resources, MSPCA, NE Equine Rescue, Animal Rescue League-Boston, and other rescues and shelters to assess how a coalition might meet their needs and those of their horses.